Well NYC Triumph riders, you have one less choice to make. 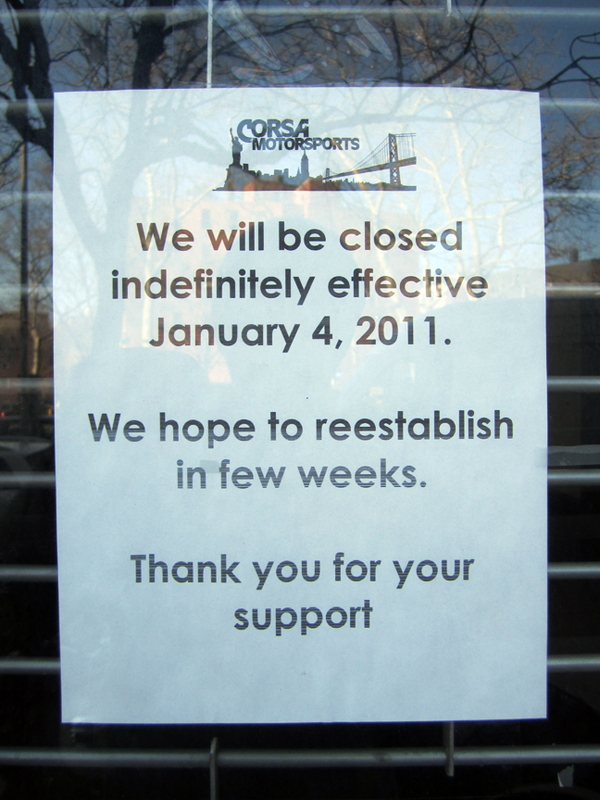 Corsa Motor Sports, New York City’s Triumph dealer is no more. Personally, I haven’t taken my bike there in years. Somehow it was comforting to know a dealer was nearby. There are a few bikes inside, but it looks fairly cleaned out. There is also a sign on the door. 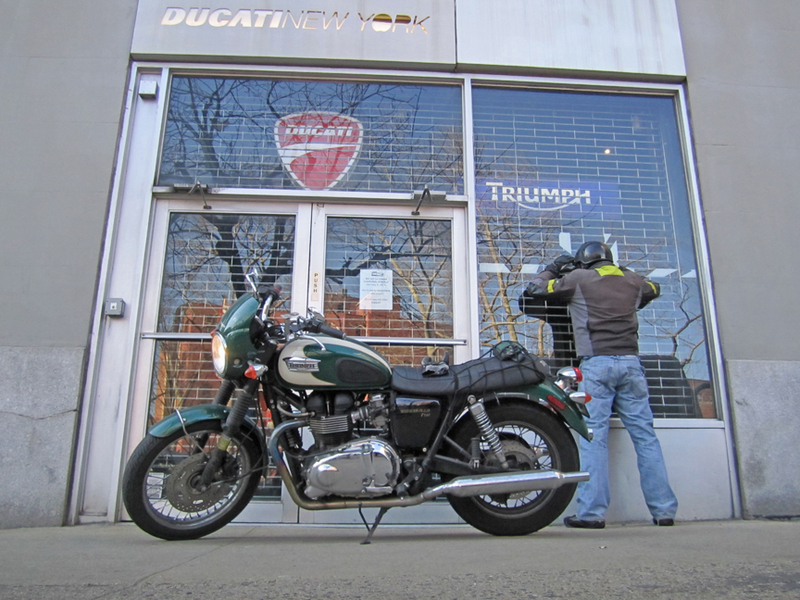 I’ll be taking my bike out to Gold Coast in New Hyde Park, NY for some servicing. I can’t wait until Spring. I don’t dislike Winter, but I’m ready for some riding.